The Petit Palais offers us the opportunity to discover a "rare" artist, in the sense that his mysterious work is finally not shown much outside his country of origin, Belgium. However, Fernand Khnopff, the artist with an unpronounceable name (7 consonants for a single vowel), was in his time a great star of Symbolist painting and his fame reached far beyond the Belgian borders. At the heart of the avant-gardes of the late nineteenth century, he was close to the French Gustave Moreau, the English James Whistler and the Pre-Raphaelites -particularly Burne-Jones and Rossetti-, as well as the Vienna Secession and Gustav Klimt. His childhood in Bruges left him with the image of a world full of nostalgia, bathed in mist and water. Later when he moved to Brussels, in a house-studio in which he lived cut off from the world as in an ivory tower, he developed a disquieting symbolic style. His sister -his favourite model- was his main source of inspiration and she was often associated with the myth of Hypsos, the Greek god of sleep, or that of Thanatos, his twin and god of death. The exhibition brings together more than one hundred and fifty emblematic works of the Belgian aesthete : paintings, drawings, engravings, and sculptures all staged in his particular fashion. His female figures are ambiguous: chast and sensual, ideal and real, shrouded in revery and mystery... Des Caresses is our favourite, depicting a sphinge with a cheeta’s body rubbing up voluptuously against a very absent-looking Oedipus. 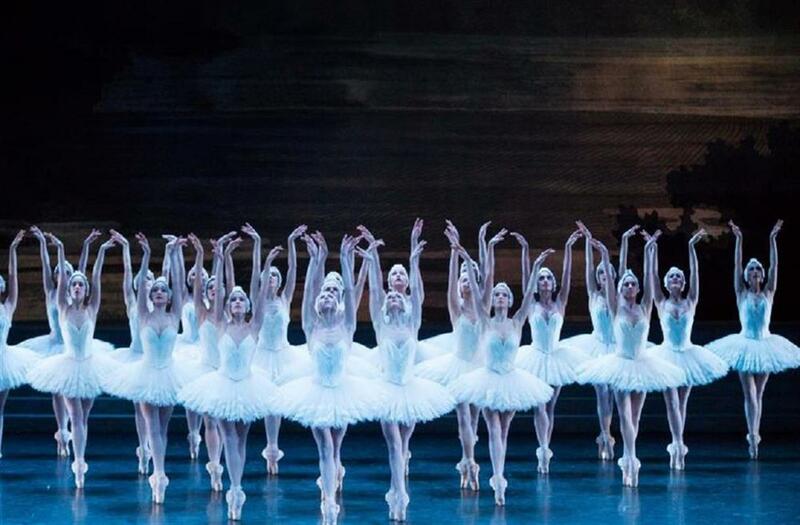 To remain in the symbolic and ethereal register, why not extend your visit with a performance of Swan Lake, in Rudolf Noureev’s delightful version, which is on at the Opera Bastille for a month ! Tchaikovsky composed one of the most beautiful pieces of music for ballet ever to recount the impossible romance between a human prince and a swan princess. The rhythm of the choreography and the stunning grace of the dancer’s arms as they turn into wings, bring the timeless and tragic story to life. Noureev’s version for the Paris opera house has added a new psychological dimension revealing the depth of Tchaikovsky’s poetic dream like never before. A powerful classic overflowing with elegance, beauty and precision that everyone needs to see !